EXCERPT: In Scott Walkers Wisconsin, the Republican crusade to reward large corporations while punishing the poor has hit a snag. A bill proposed by Republican state legislators would force recipients of food stamps to spend at least two-thirds of their benefits on items from a list of healthy foods while outright banning the purchase of certain junk foods such as chips and soda. This is a great, petty, way for the state GOP to thumb their nose at the FDA, which has officially stated it has no plan to categorize foods for SNAP recipients. Its also a wonderful way to show the poor how committed Republicans are to making their lives harder. Republicans should know that quite a lot of fast and junk food is heavily subsidized, making it much cheaper than healthy foods, leading to obesity among the poor. 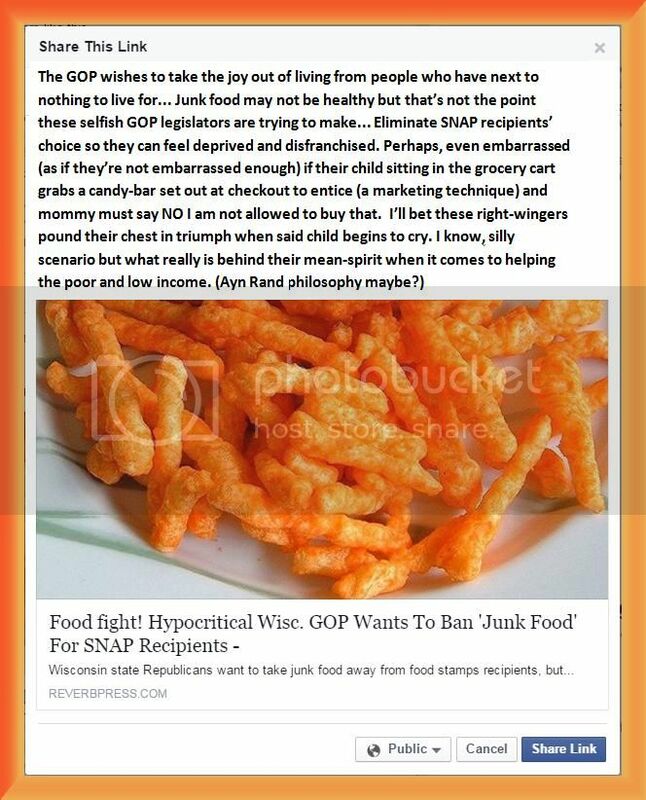 Taking junk food away from those living on meager food stamps allowances could be tantamount to starving them. It also arrogantly assumes that being poor means someone doesnt know how to feed themselves and their family.